Sweating profusely, Segun Yusuf wiped his face with a handkerchief while trying, at the same time, to shield his eyes from the rays of sun that came down through the cloudless sky, as he walked along Ago Hausa Street in the densely populated Ajegunle area of Lagos. Time was around midday. His woebegone face later lit up after he was joined by a familiar face and they both headed in the same direction. But his acceptance to go in the same direction with the familiar face turned out to be his greatest undoing, as he alleged that he was forcefully initiated into Eiye confraternity!. Yusuf, a private security guard , told Sunday Vanguard that his companion, whose identity he gave simply as Suleiman , lured him to a hotel where, unknown to him, some youths in the area were being initiated into the confraternity. Narrating his story, the Kwara State born security guard said: “As I was returning from an errand for my father, I met one of our street boys, Sueliman, popularly known as Nejo. He told me he had won Niger bet and that he would like to buy me some bottles of beer at a hotel in Ajegunle (names withheld) to celebrate his winning. Without suspecting any sinister motive, I followed him. But on reaching the hotel, he took me to a room upstairs, where I met 15 other boys. “Immediately after I entered the room, they ordered me to kneel down and close my eyes. I was miffed. “One of them brought out a pistol and threatened to waste my life if I raised the alarm. At that point, I obeyed “ . Continuing, Yusuf said: “ They started beating me. They slapped me fifteen times and forced me to open my mouth, poured some gin and concoction which they forced me to drink. Then they ordered me to open my eyes. When I did , they poured the concoction into them. “At the end, they said I had been confirmed as a member of Eiye confraternity and that I would pay membership fee of N50,000. If I had died there, nobody would have known where I was”. Sunday Vanguad gathered that policemen attached to Ajeromi Division, who got wind of the suspected cultists’ activities, stormed the hotel but did not meet them there. The policemen, however, traced them to a location at Ago Hausa Street where the suspected cultists were said to have staged a party to celebrate with the new entrants. But the celebration was cut short, as they took to their heels on sighting the policemen , said to have been led by the Divisional Police Officer, Mr Robison Eregare , a Chief Superintendent of Police, CSP. Preliminary investigations by the police, it was learnt, revealed that the suspects had the symbol of the confraternity on their left back arm. Sunday Vanguard was reliably informed that the symbol, a tatoo bird, was usually drawn on members after paying their dues of N50,000 or less depending on the part of the state or country where they were initiated. Further investigations were said to have revealed there are different confraternities in Ajegunle, popularly known as the ghetto city of Lagos State and home of all tribes. Incessant rival cult wars have been attributed largely to the unrest witnessed in the area, with several lives lost, as well as wanton destruction of property. In an interview. 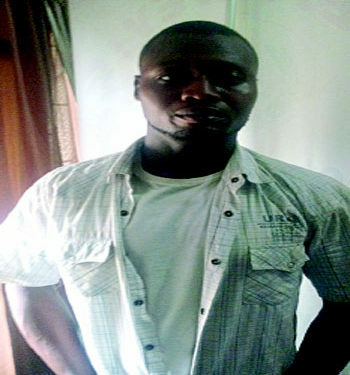 one of the suspects arrested in connection with the forceful initiation of Yusuf , Abayomi Atomotele, an Ordinary National Diploma graduate of Computer Technology Engineering from the Federal Polytechnic, Offa , Kwara State , disclosed that he was also forcefully initiated into cultism while in school. But he denied having anything to do with the crime for which he was arrested , saying he only visited the area on that day to collect some documents from the Ajeromi Ifelodun Local Government, only to run into the police. “ I am a clearing and forwarding agent . Yes, the symbol on my back is Eiye’s . I was forcefully initiated when I wanted to contest for a Students Union position while in school. I met some boys who told me to join their club as a condition to vote for me. But I did not know I was being initiated. This symbol has put me in trouble several times. And my mother complains about it every now and then”, he said. “In this case, I wanted to pick some consignment on someone’s behalf and the company in question requested for my national identity card. I had to come to the Ajeromi Local Government where I did the pre-registration for the national identity card. But when I got to the council, I discovered they had closed. I decided to go and see a friend at Ago Hausa who linked me with a member of staff of the council. “On my way, I saw another friend and decided to recharge my phone, so as to contact the person I was going to see. Later I saw people running and decided to go and collect my phone, only to be picked up by the police. I was not at the party”. But police sources stated that he was arrested alongside other suspected cultists at the same spot.